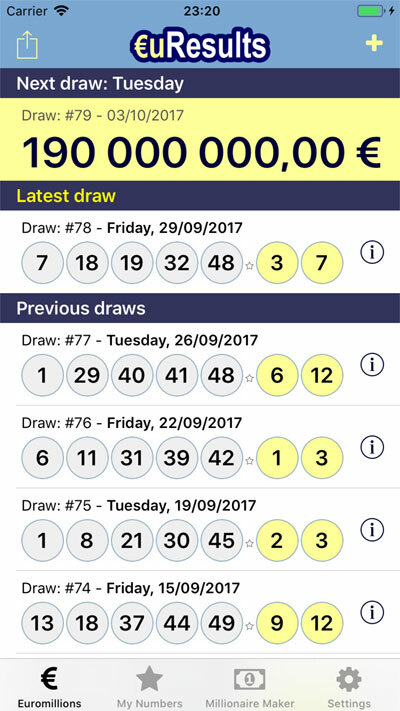 With the euResults app you can now get the Euromillions results very quickly and easily! Every Tuesday and Friday, find out if you are a winner! © 2019 Daniel Fernandes. All Rights Reserved. Disclaimer: EuroMillions® is a registered trademark of SLE. Euromillionsapp.com is not connected with or approved by the Operators of the game EuroMillions®.